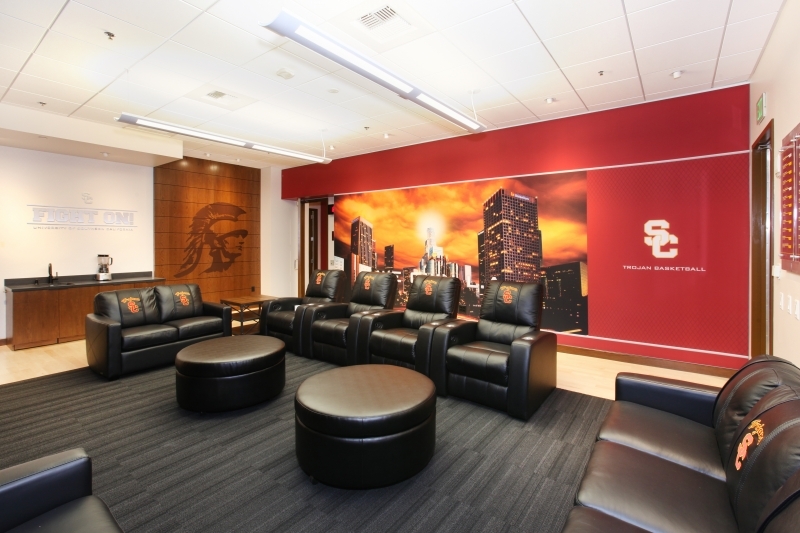 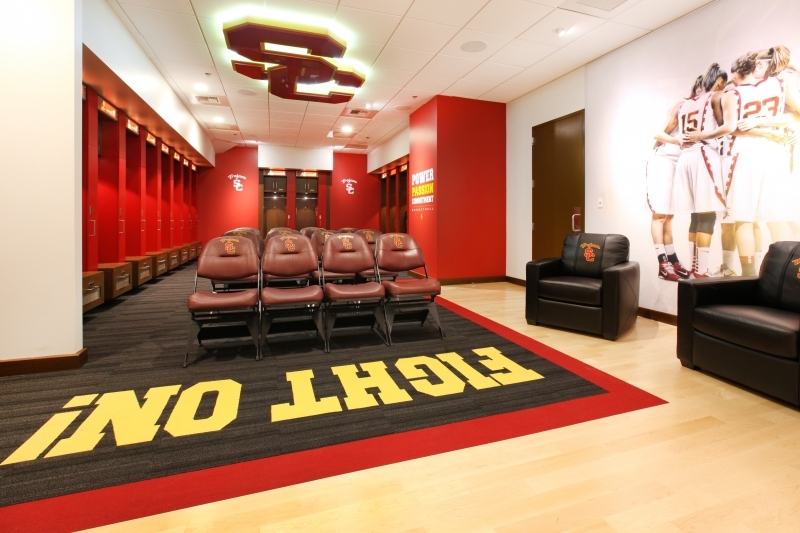 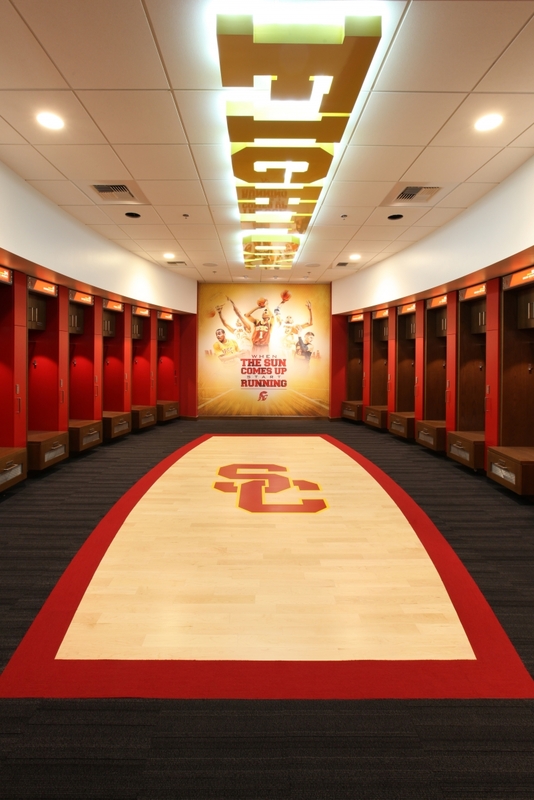 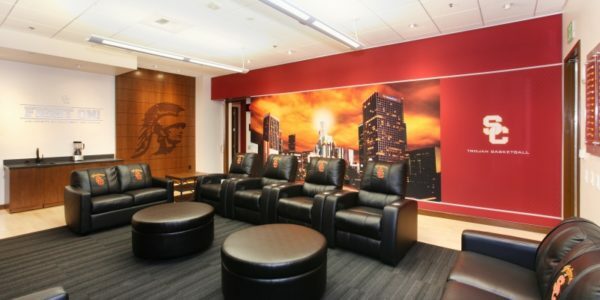 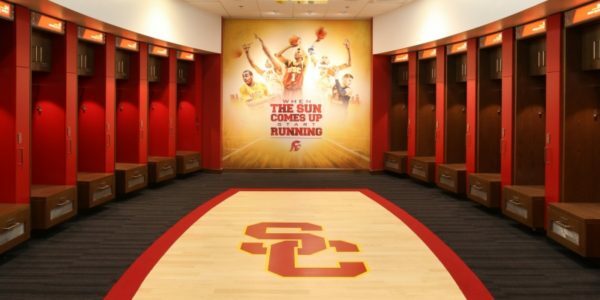 Take the USC storied history and update the team locker rooms with school colors and spirit through architectural specific coverings. 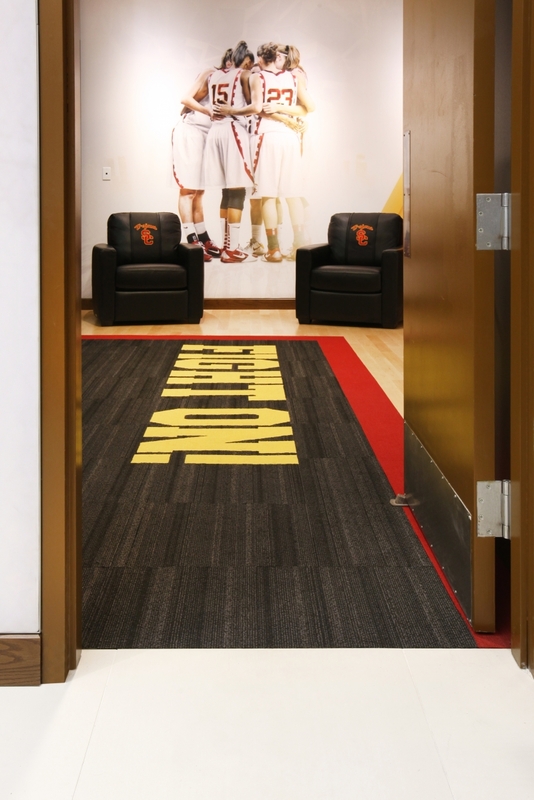 Universal Metro worked closely with the USC Construction and Design Team to pick colors, styles and manufacturers that met the design intent of vibrant and functional. 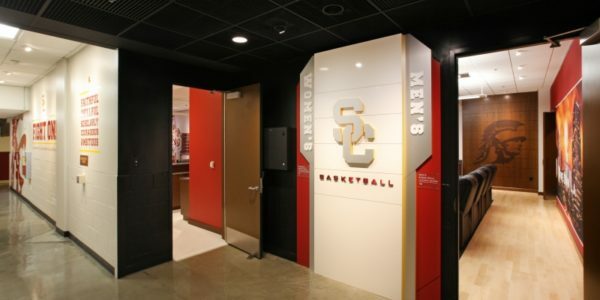 Work closely with HC Olsen to renovate the facility over a two week installation period, yet maintain the quality needed for the insets. 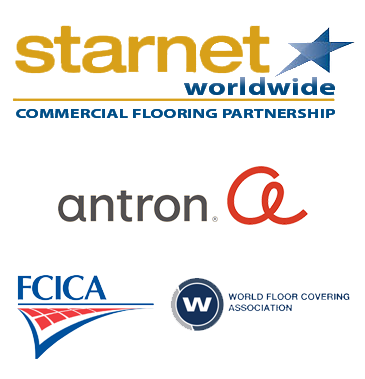 Universal Metro designed, estimated, budgeted, procured, and installed all floor and products on the project: sheet vinyl, heat welding, ceramic tile, porcelain tile, carpet, carpet tile, base cove Ardex underlayments, Ardex MC moisture mitigation systems. 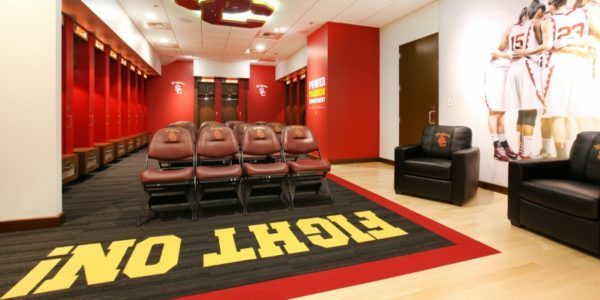 As Southern California's single-source for commercial flooring, Universal Metro is an industry-leading, Floor Covering, Underlayment, and Moisture Mitigation expert. 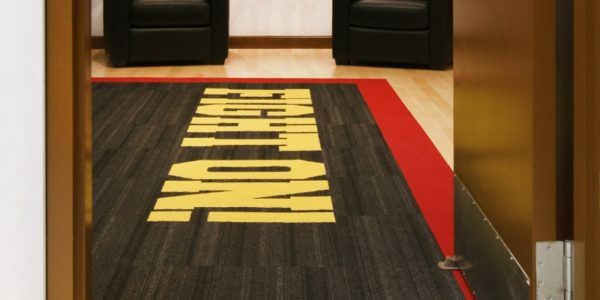 For over 35 years, our team of experts has built professional relationships in the healthcare, education, retail, automotive, and tenant improvement market segments, catering to the needs of facility directors, end users, General Contractors, design builders, architects, and designers alike. 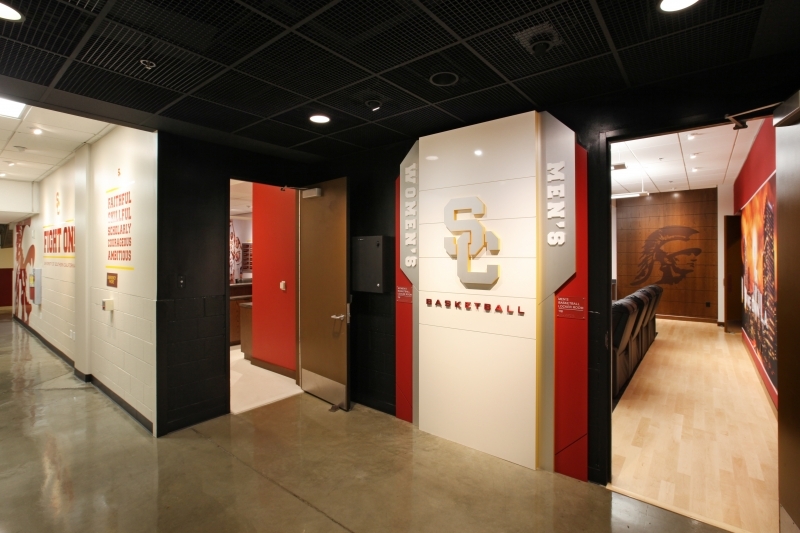 For dedicated customer support, please contact your Account Manager.